MOSD Alumni says, "THANK YOU!" Abbey was diagnosed as profoundly deaf before her first birthday and received one cochlear implant at age 2. Early intervention, audiological services, and therapy at MOSD prepared Abbey to mainstream into her local kindergarten program. Abbey stopped receiving speech therapy by the 2nd grade as her clarity of speech was parallel to that of her hearing peers. She graduated from high school in May of 2016 and is now enrolled in the Shackhouls Honors College at Mississippi State University. She has received a full scholarship from the Mississippi Excellence in Teaching Program and is majoring in Elementary Education. Students are listening and TALKING at MOSD! You will be given five words to listen to. This simulates what a child hears with a mild, high frequency hearing loss. 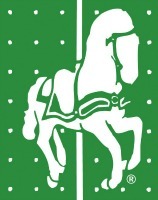 Sleigh Bells Ring....Are You LISTENING? 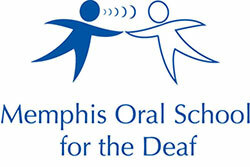 Happy Holidays from Memphis Oral School for the Deaf. We are thankful for the gift of sound and speaking this season! Thank you to Oden for this wonderful video showcasing the beauty of our children!